Welcome to my One Place Study for the village of Normanton on Soar, Nottinghamshire. 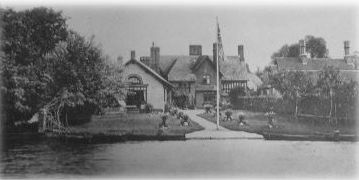 During the course of research into my family history I became interested in Normanton on Soar and began collecting any details relating to the village and its inhabitants. After gathering a large amount of information I decided to create a website where it could be placed with the aim of assisting anyone with Normanton on Soar connections. There are transcriptions of various documents that have been done by myself, (except where otherwise acknowledged) and whilst I have taken great care to be accurate, mistakes can be made so please use only as a guide and as with any transcription check the original yourself. If you do find a mistake or have a query please contact me with the details. 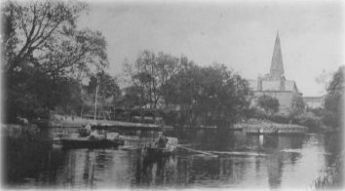 This website also contains photographs and material submitted by other researchers who have an interest in the village. Do you have any information that you would like to share with others? Any piece of information e.g. photos, memories, stories, family lines etc., would be most welcome and in turn could possibly help someone with their family research or find a missing ancestor. If you can contribute to this One Place Study please feel free to Contact Me. Miscellaneous items that I did not know where to put! Transcriptions and photographs contained in this website are for personal family history use only. They are not to be used for personal gain.